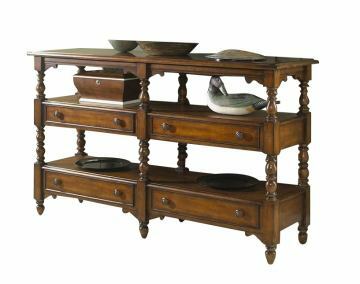 This beautiful Summer Home Console by Fine Furniture will enrich your living room décor brilliantly. It features four drawers, with a felt-lined silver tray in the top left drawer. Place decorative pieces on the four shelves and the spacious top. Great in your hallway or living room, this console will be a fine addition to your home.